Credo has improved the way MyCredo can be accessed. 1. Open your Internet Explorer or Safari (for Mac) browser. 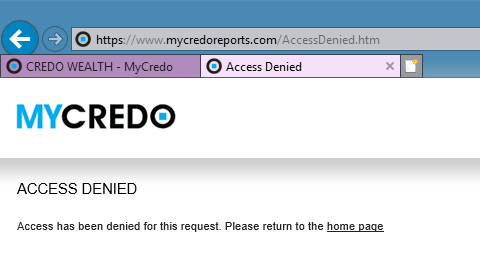 Please Note: MyCredo is not compatible with Chrome or Edge browsers. 2. 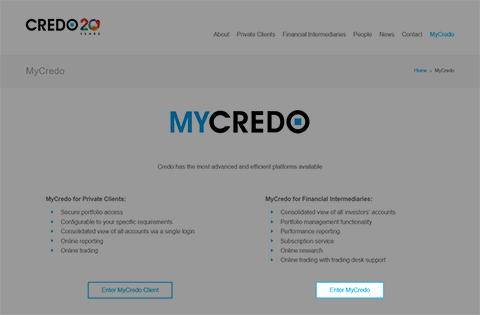 Navigate to the Credo website www.credogroup.com and click on “MyCredo” on the main menu. 3. Click on “Enter MyCredo”. 4. 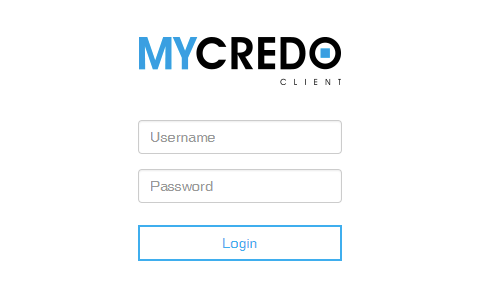 You will be re-directed to the MyCredo login screen where you will need to enter your MyCredo login credentials. ...and will be unable to log in. Please ensure you are using either Internet Explorer or Safari browsers when entering the MyCredo site. If using Safari, you may receive the Microsoft Silverlight notification below. 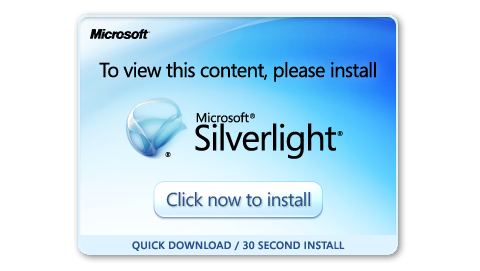 If received, select “Click now to install” even if Silverlight is already installed on your computer. When available, click on “Use Every Time” to ensure you do not receive this notification going forward. If you have any queries, please do not hesitate to contact your Relationship Manager or MyCredo Support.